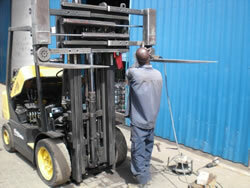 If your company is relying on production, your forklifts have to be available at all time. This can only be achieved through a proper maintenance plan and a stock of necessary spare parts. Global Energy can help you keep your business going with a service contract for your forklifts. Please invite us for a survey of your equipment and stock to keep your business going.